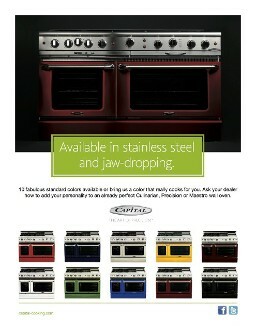 Capital Cooking Company takes pride in making one of the best ranges when it comes to Fit and Finish. 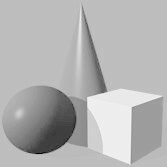 The look of the Capital ranges is not as aggressive in looks as most other Pro Ranges. You will notice the corners are rounded, the knobs have more of a residential feel and the top of the range is welded and polished, which eliminates a joint to the front on each side. 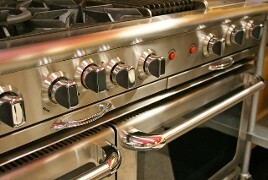 The drip trays under the burners are easy glide. The oven racks are on rollers. The door handles have polished accents. 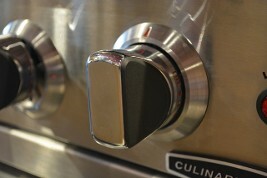 Easy to identify contrasting buttons for the lights, convection fan and rotisserie (if fitted). The oven doors open effortlessly. Rounded plate rack is located at the front of the range. 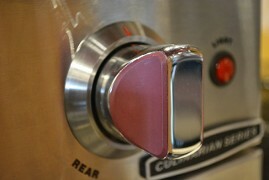 Etched markings on the knobs will never fade or disappear. Snug fitting under-tray to catch your entire accidental boil over’s and little mishaps. 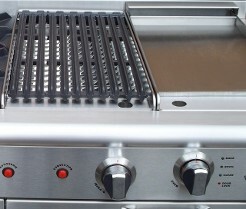 One piece burner grates are for the most part indestructible. In fact the appearance in my mind increases with age, unlike the sealed burner ranges and cooktops which do not age gracefully. People often talk about the fit and finish of the Wolf Ranges with admiration. 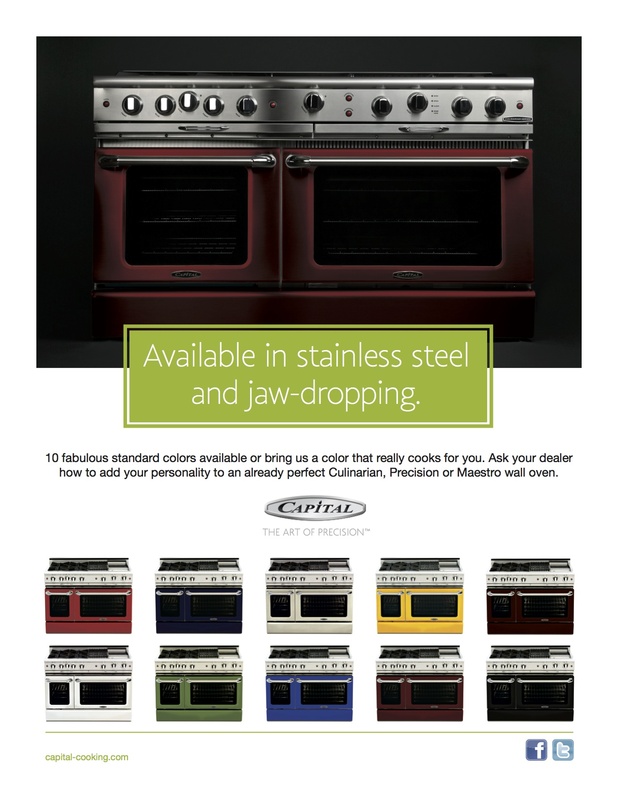 I believe the fit and finish of the Capital Culinarian ranges and cooktops trumps the Wolf and will simply be recognized as the best-in-class fit and finish. Coupled with handsome looks and high quality materials, the superior cooking capability of the Capital Culinarian will triumph over the competition with ease.